Francois Massaqua and Anderson Ncube won the prologue of the Dryland Traverse that finished at the De Hoek mountain resort today. 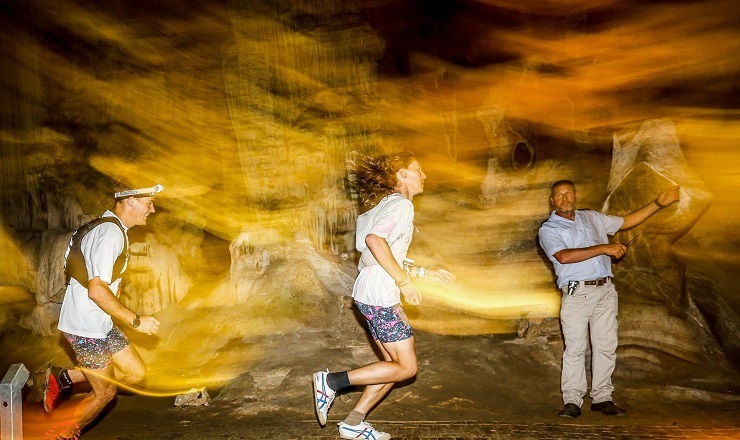 The pair completed the 9.5km route, which started at the Cango Caves Estate, in a time of 41:11. John April and Ettiene Plaatjies placed second, with Mauritz Jansen van Rensburg and JC Visser third. Kerrin Watson-Smith and Elani Eckert won the women’s race, with Kathleen Shuttleworth and Antonie van der Westhuizen the mixed team winners. The solo men’s race was won by Robert Rorich, with Lindi Georgiou winning the women’s version.